A bottle of Pol Roger 1914 – Winston Churchill’s favourite vintage of his favourite wine – which has lain undisturbed in the cellars of the champagne house for 100 years, was sold at auction house Bonhams’ Fine Wine Sale in London on 24 October for £5,640. The proceeds will be donated to the Imperial War Museum to support the refurbishment of its First World War Galleries. Pol Roger 1914 is regarded as one of the finest vintages of the 20th century, but the grape harvest that year nearly didn’t take place. The German offensive at the beginning of the war came through Épernay where the Pol Roger vineyards are sited. The subsequent battle of the Marne established the front line about 10 miles north of Épernay. The adversaries dug in for the years of trench warfare and the grape harvest was saved. All able bodied men in France under the age of 45 had been called up so the harvesting of the grapes was done by women, children and men who were too old or unfit to fight. There was no guarantee the Germans would not return and the harvesting was accompanied by the sound of constant gunfire in the distance. 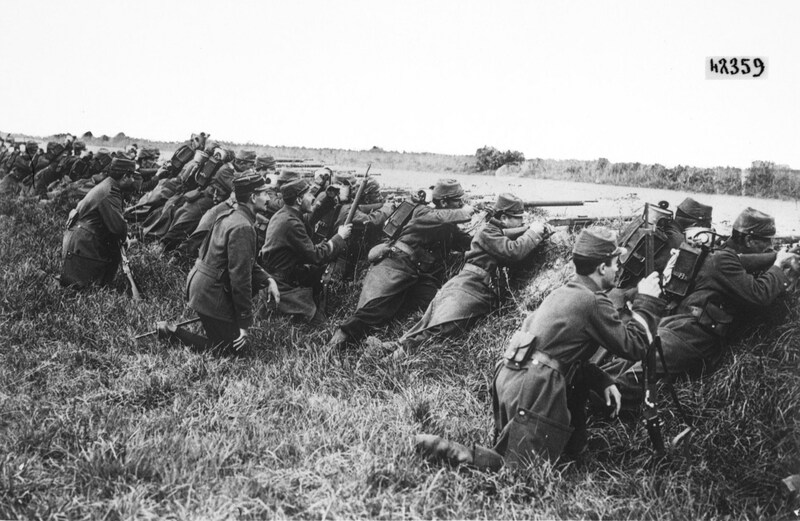 Some of the grapes were picked earlier than usual because the champagne house feared the Germans would renew their offensive. This made the wine acid to the taste when young, but as it matured the flavour blossomed and the initial acidity contributed to its unusual longevity. This entry was posted in Events and tagged Battle of the Marne, Champagne, First World War, First World War Centenary, Imperial War Museum, news, Pol Roger, UK News, Winston Churchill. Bookmark the permalink.